“Groussaka” recipe released by Wild & Game as its founder praises Prince Charles’ promotion of game. 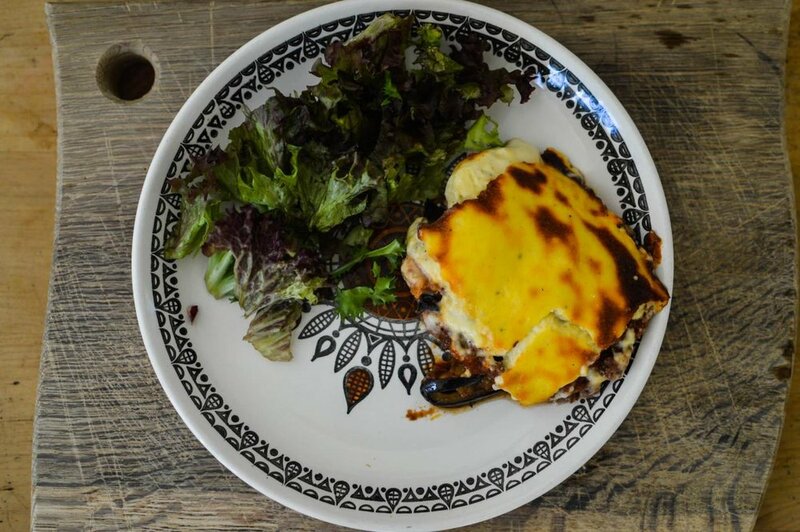 The co-founder of Wild & Game, the not-for-profit company on a mission to turn the UK into nation of game eaters, has welcomed Prince Charles’ revelation that he loves to eat “groussaka” – moussaka made with grouse instead of lamb. Steven Frampton set up Wild & Game with Michael Cannon last year in order to promote wider consumption of game, especially under-used game birds. Wild and Game sells handy packs of game meat for easy home cooking and currently has an excellent supply of grouse breasts, which can be minced to make “groussaka”. “Grouse is in short supply this year but we’ve been able to use our excellent links with game suppliers to source these birds,” said Steve. The company also sells whole game birds and uses game as a key ingredient in its range of high quality pies, pasties, sausage rolls, pates, sausages and ready meals. The company’s products include familiar recipes such as ale pie, tikka masala and chilli, which are made with game sourced from British suppliers. “People can be timid about trying to cook with these ingredients, but we aim to make it easy for them, and to demonstrate how delicious game can be,” says Steven. “We’re also working to get people eating game all year round, not just in game season. Fry your onions in olive oil until soft. Meanwhile, put the potatoes on to boil. Once bubbling, set the timer to 10 minutes. When done, drain, leave to cool, then slice. Add the tins of tomatoes, tomato paste, herbs, sugar and the vegetable stock cube and simmer for 45 mins, topping up with water whenever it starts to look dry. Season to taste. Could This Be The Ultimate Wellness & Beauty Booster For A Naturally Healthy Year Round Glow?